Nokia is delighted announced that they have won the patent battle with Research In Motion (RIM). Nokia claimed that RIM took Nokia's wireless local access network (WLAN) technology. A judge jury supported Nokia. as they said that the jury decided that RIM had violated the contract. As the agreement, RIM does not have right to manufacture or sell WLAN product without royalty to Nokia. As reported by Reuters on Wednesday (28/11/2012), Nokia tries to explore other sources of income from royalty, registering patents to court in United States, Britain, and Canada. 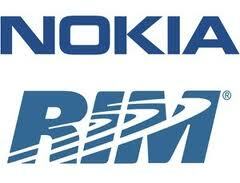 According to Nokia statement that RIM and them signed a cross-licensing agreement at 2003. This agreement includes the standard of mobile patents. Furthermore, the agreement was modified in 2008. RIM was looking for arbitration in 2011, they argued that the license should be extended include WLAN patents. Nokia with Ericsson and Qualcomm are leading as well-known patent holders in wireless industry. For Nokia itself, patent royalty made annual income about $646 million. Meanwhile, RIM has not give any statement regarding this. No response yet to "Nokia Won the Patent War"